Download free IT Guides from hundreds of different publishers for FREE. 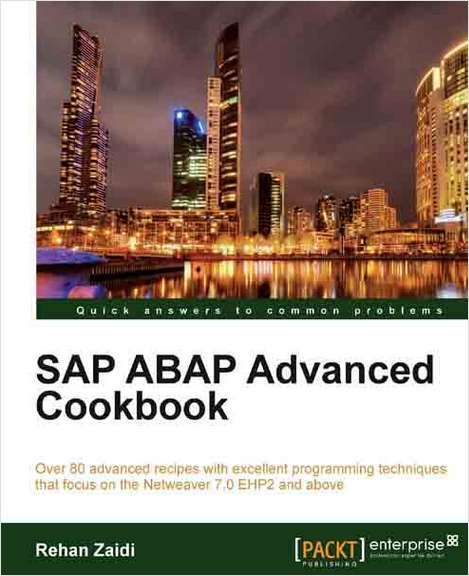 Below is just a few examples but there are hundreds if not thousands for FREE IT guides available for you to download and use including the ABAP cookbook excerpt. SAP core is written almost entirely in ABAP, which is a high level programming language used in SAP for development and other customization processes. It begins with the applications of ABAP Objects and ALV tips and tricks. It then covers Design Patterns and Dynamic Programming in detail and much much more!! 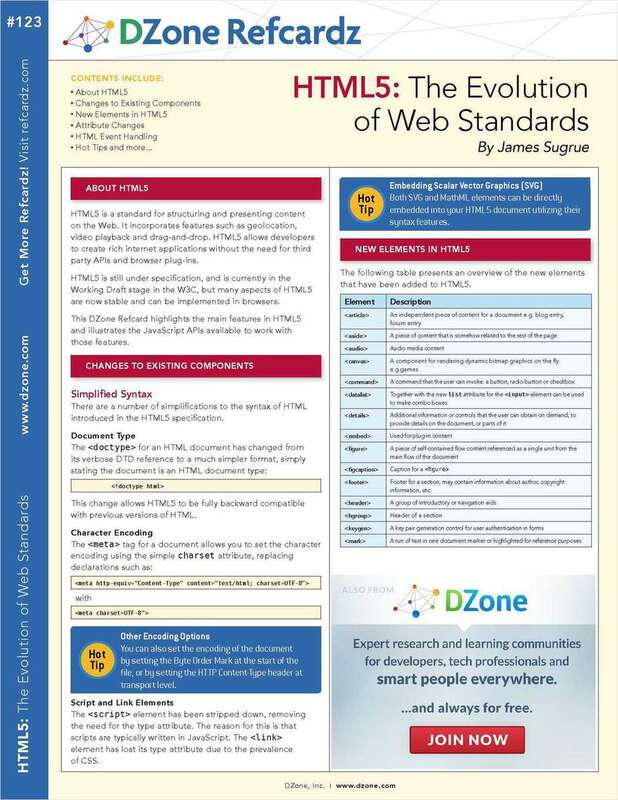 HTML5 : The evolution of Web Standards - FREE Cheat Sheet! HTML5 is the most dramatic step in the evolution of web standards. It incorporates features such as geolocation, video and audio playback, a graphics canvas, client-side persistence, drag-and-drop, and much more. HTML5 allows developers to create rich internet applications (RIA) without the need for third party APIs and browser plug-ins. and offline storage.